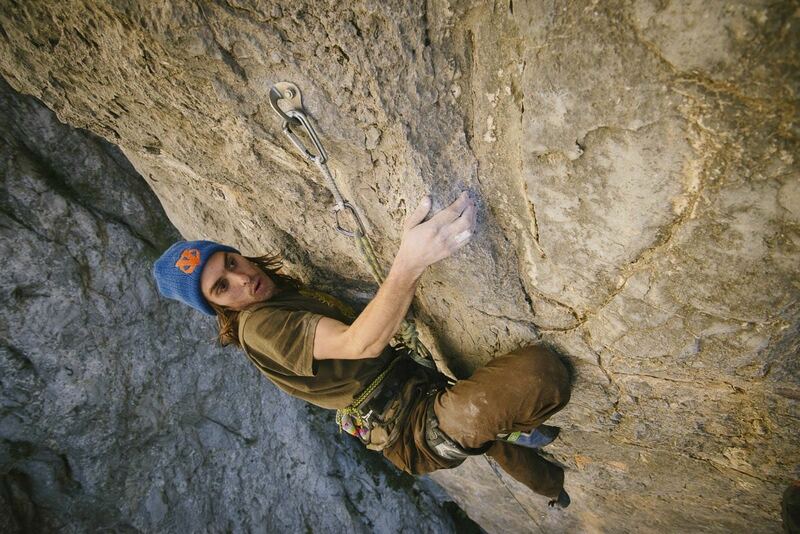 One of the greatest joys of projecting a route is that we get to really know it. We begin to create understandings about the climb, about the movement on the climb, about how the climb stands and strongly presents itself to the world. We try and try again, falling at the cruxes, relearning what it takes to climb hard and how to push ourselves. Paul Roberts on the classic route, Cyclops (5.13a) at El Potrero Chico, Mexico. While all of this is going on, we learn what we call the beta. In other words, the right movement—that if executed perfectly will allow for you to reach high summits. What I have begun to notice on all of my projects is a new aspect within the division of beta, something I call Micro and Macro Beta. This entails beta such as putting your right hand on certain holds, your left foot on the correct smears, and moving through the sequence correctly … the bigger picture of the climb. If you generally follow the right sequence, the big picture, then you can get to the top of the route or boulder problem. But even with knowing the correct hand-foot sequence on a climb, you still end up having to tweak it and relearn sequences throughout your time working on it. This calls for the Micro Beta. Paul on DRL Deluxe (V9) Prescott, AZ. why can’t I do this move today? comes into mind and we throw ourselves at the climb again and again. It is these moments where learning the Micro Beta will help us see the gains we want to see. Micro Beta is paying attention to the littlest (yet biggest) of things in our body position: the way we are leaning, how much pressure we are putting on the toe hooks, how much pressure our index finger is using versus our thumb, whether or not we are squeezing our core to tighten for the crux campus move, etc. I encourage everyone to begin to practice bringing their awareness to the micro beta in the climbs that they are working on. Pay attention to the things described above and your breathing—always returning to your breath to find the flow. Style: Is It An Excuse Holding You Back?